Shaun Leonardo. Testimony #1. Interactions with Police. Join us for a public-participatory performance with Shaun Leonardo, where guests will locate intensely contested current affairs within their bodies. 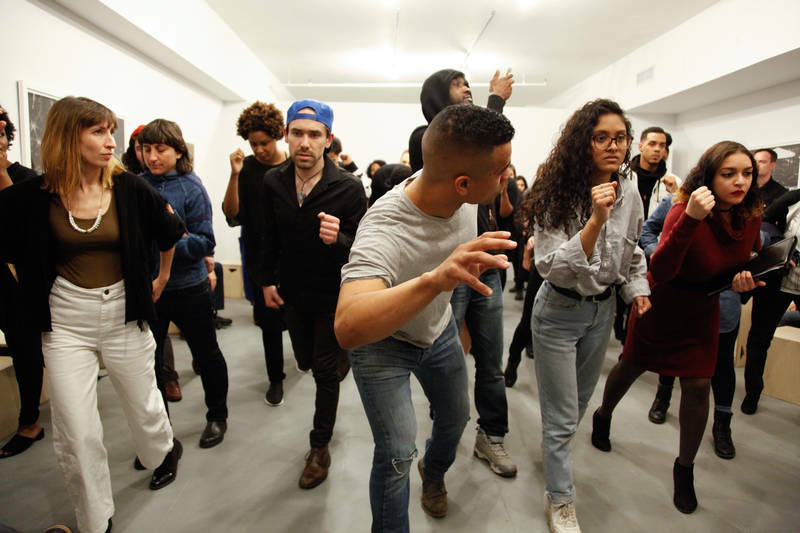 Join us for a public-participatory performance with Shaun Leonardo, where guests will locate intensely contested current affairs within their bodies. Utilizing the shifting perspectives embedded in testimony, news reports, and memory as a backdrop, participants will be asked to translate their experiences into performative gestures. While embodying the texts, the group will enact different identities, elusively tying each person in the room to one another. This workshop and performance is tailored to exactly 24 guests and requires that, at times, participants wear blindfolds. Shaun Leonardo is a multidisciplinary artist who uses modes of self-portraiture as a means to convey the complexities of masculine identity and question preconceived notions of manhood. He received his MFA from the San Francisco Art Institute and has received awards from Skowhegan School of Painting and Sculpture; The New York Studio School; Lower Manhattan Cultural Council; Art Matters; New York Foundation for the Arts; McColl Center for Visual Art; Franklin Furnace; and The Jerome Foundation. His work has been presented in galleries and institutions, nationally and internationally, and was recently featured in the exhibitions Crossing Brooklyn at Brooklyn Museum, Radical Presence at Studio Museum in Harlem, and Between History and the Body at 8th Floor Gallery. Leonardo’s current collaborative work Mirror / Echo / Tilt is funded by Creative Capital. He is also a current artist in the Smack Mellon Studio Program, Brooklyn, NY. Photo: Courtesy of Recess Assembly and the artist.